It seems as though every financial expert has different advice when it comes to managing your money. It’s challenging to know what is actually great advice and what may be a money myth that could end up costing you. Your financial situation is unique to your wants and needs. Before you take financial recommendations from your neighbor, here are the top money myths you should avoid for a successful financial future. You may often hear people say “cash is king.” That may be true in some circumstances, depending on your financial situation. If you find yourself struggling with debt, using cash may be a great way to get your finances in order. However, if you’re responsible with credit, using it affords you the opportunity to boost your credit score while earning cash back, points, and travel miles. Who doesn’t want to earn a trip to the Caribbean for paying their bills? On top of that, using credit cards adds another layer of protection to your money. Credit cards help ease your loss from fraud or identity theft. If your debit card is compromised, the money is automatically pulled from your account. When your credit card is compromised, your credit card company won’t pay the transaction until the matter reaches a resolution. There are some benefits to using cash, but if you can use credit responsibly, it may be a better option. It’s a common misconception that consumers who are young and healthy don’t need life insurance but in fact, it’s quite the contrary. If you’re young and healthy, this is the perfect time to purchase a life insurance policy. Life insurance companies base your premiums on many different factors including your age, health, and risk associated with taking you on as a policyholder. They tend to provide lower premiums for applicants who are younger and are in good health. If you plan on needing life insurance in the future, it may be wise to purchase a policy now. Purchasing a policy now may save you hundreds or thousands of dollars over the span of the policy. Navigating the life insurance shopping process may initially seem overwhelming and confusing, but it doesn’t have to be. Try partnering with a life insurance expert like the ones at Term Life Advice. Life insurance experts can help you find the best policy for your needs. They can also help you compare polices from the most affordable insurance companies to ensure you find a policy that will fit within your budget. In years past, many consumers thought their home was the biggest investment they would ever make. They believed that the value of their home would grow over time, which would be a big contribution to their retirement savings. This may be one of the biggest money myths of our time. What many consumers tend to forget is the additional costs you incur once you purchase a home. 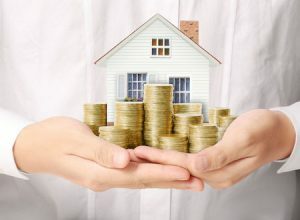 The Simple Dollar recently published an article breaking down the costs associated with a home. Their data showed that if a consumer purchased a $300,000 with 20% and a 4.25% interest rate, it would take 29 years for you to even see a 0.08% return on your investment. Even worse, this number doesn’t factor in any costs to sell your home. Even after 50 years, you would only receive a 0.43% return. On the other hand, if you made an initial investment of $60,000 in the S&P 500 and then contributed $1,180.66 or your mortgage payment every month, you would have $1,664,374.06 after 29 years. This is assuming a 7% average return. Which investment would you rather have? Before you purchase a home, make sure it will save you money in the long-term and it adds value to your lifestyle. Make sure you’re not purchasing it simply for the investment aspect. Having a good credit score can help you save money and maybe even get a better job. If you’re looking to improve your credit score, one common money myth is to keep a revolving balance. Financial institutions want you to use credit, but use it responsibly. One of the factors that determines your score is your credit utilization rate. Figuring out your utilization rate is easy – simply add up all your credit card balances and divide that amount by your total credit limit. The lower your credit utilization rate it, the better your score will be. It’s in your best interest to pay off your balance every month. If you cannot pay the entire balance in full, try making payments throughout the month to lower your revolving debt. You don’t want to keep a low revolving balance to improve your credit score. This may end up having the opposite effect. Many consumers shy away from investing in the market because they fear they don’t have enough money or the financial skills to help their money grow. This is not the case. If you were to invest $50 a month in the S&P 500 for 40 years with an average return of 7%, you would accumulate about $119,781.07. Do you think you could spare an extra $50 a month for $119,781.07 in the future? You don’t have be a millionaire or be a financial expert to invest. You can start investing with any amount. It may be wise to hire a financial advisor or enlist the help of one of your financial savvy friends to get you started. There are numerous investments you can purchase that will help you achieve financial security. No matter where you’re starting, take the initiative and find the right investments for your financial goals and objectives. Just because your partner handles all of your financial affairs doesn’t mean you’re off the hook. What would happen if they were to unexpectedly pass away? Would you know where to find all your financial documents? Would you even know how to pay your bills? Not understanding your financial status could end up significantly costing you time, money, and a lot of stress. It’s important for you to not only understand your financial plan but you should have a say in it as well. Any financial decision made will impact your financial well-being. You should be part of the decision making process to make sure your interests taken into consideration. Take the time to review all of your accounts, life insurance policies, investments, and other important financial documents with your partner. Don’t be in the dark when it comes to managing your finances. This is another piece of advice that is circumstantial. Of course, it would be amazing to have no debt, but not all debt is the same. There are many different types of debt such as your mortgage debt, credit card debt, student loan debt, and so on. Each of these types of debt carry a different interest rate. Instead of focusing on the type of debt you should pay off, focus on the interest rate associated with each balance. If you have $25,000 in credit card debt with an interest rate of 17.47%, it may be wise to focus your attention on paying off this balance as fast as possible. But if you have $10,000 in student loan debt with a 3% APR, you may want to consider using your extra money to invest or save for retirement. Determine your financial priorities and pay off debt accordingly. Remember, living a debt-free life isn’t on everyone’s priority list. There are many money myths you should avoid for a successful financial future. It’s important to find the right advice that works for your financial situation. You may think that all financial experts provide correct recommendations, but they don’t know your financial goals and objectives. Do your own research and determine which financial advice is right for you. At Term Life Advice, we work with 63 top-rated life insurance companies to help our client’s find the most affordable life insurance coverage. We also offer no exam life insurance if you’re schedule is too full to meet with a nurse, or if need insurance in a hurry to collateralize a business loan.